Your “Reach” portfolio takes all the art you've uploaded to Foundmyself and showcases it on a professional, standalone website. Not a member? Join here. There's no extra work! Every time you upload or edit your gallery here, your site will update automatically. Easy! Your website should reflect the quality of your work. Go pro with a .com or .net domain. Choose a basic layout, then customize fonts and colors, add slideshows and more. You can sell your creations directly and keep 100% of your sales. Your visitors will enjoy an ad-free viewing experience on your site. Modern encryption ensures safe browsing and shopping for all. Our sites are optimized for speed, improving user experience. Your portfolio will look great on mobile devices, tablets, and computers. Under-the-hood enhancements play nice with search engines. We hide your email so spammers can't get it, while visitors can still email you directly. You'll have plenty of space for your images, videos, and music. Detailed statistics show you up-to-date information about your visitors. By signing up, you're agreeing to our Terms of Service and Refund Policy for our Reach art websites. Just like the paid version, the free version of our Reach art websites displays the art in your Foundmyself gallery as a standalone professional website. The differences between the free and paid versions are listed on this page, but basically the free version is ad supported and un-customizable, while the pro version has no ads, can be styled how you want it, and includes your own domain. If you don't already have your own domain and website, you can share the link that we give you when you click the “Get link” button. If you do own a website and are able to add code to it, then copy and paste the code snippet onto it to embed Reach as if it were part of your site. By using the Reach website service offered by Foundmyself, you agree to be bound by these conditions, along with the general Terms of Service for the Foundmyself website, the latter of which can be found here. Your Reach subscription will renew either monthly or yearly, depending on the plan you selected when purchasing the service. 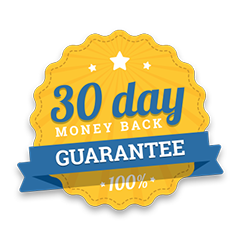 If you cancel at any point after the initial thirty days, but before your Reach subscription renews, your site will stay online until the end of that payment period. For example, if you have a monthly plan and cancel half way through the second month of your subscription, your site will remain online until the end of that second month. While we strive to provide as close to 100% uptime as possible, Foundmyself can't be held responsible for intermittent website issues, including, but not limited to server failure, power outages, software glitches, hacking, or the like. Foundmyself reserves the right to promote or reference your Reach website and the images and content contained within it, in electronic or physical media, including but not limited to email, web ads, or other promotions, without your additional consent. The domain associated with your Reach website remains the property of Foundmyself during, and if desired, after any Reach website subscription period associated with the domain. Requests for transferring domains to another owner can be made by sending an email via the Foundmyself website's contact form. Please note in the event of transfer that fees may apply, and such fees will be disclosed and agreed upon before initiation of domain transfer. Foundmyself is under no obligation to transfer the domain to another owner. You may request a refund within thirty days of your purchase of either the monthly or yearly Reach package, for any reason. After the first thirty days, no refunds will be made, and your Reach site will stay online until you cancel your subscription. Refunds will be processed in a timely manner. Your Reach website will deactivate and no longer be accessible after the refund has been made. Foundmyself will refund your money, less the cost of the domain purchase price, including all applicable taxes. The domain will remain in the possession of Foundmyself for at least the original registration period (typically one year). Requests for transfer can be made via the Foundmyself website's contact form, as outlined above.